This 2014 edition of the Statistical Health Bulletin for Faridpur Medical College Hospital is the 4th time in a new publication schedule and is being published only online. The Health Bulletin remains a publication for a non-specialized audience interested in development issues in the Faridpur Medical College Hospital region. While keeping its richness in information content, we try to maintain a user-friendly format, including using numerous charts to visualize statistical information of health data. 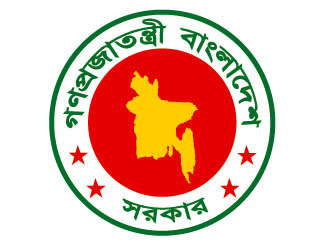 The major sources of the Bulletin include: MDG-4 & MDG-5, OPD & emergency services, admissions & deaths of top 10 diseases , utilization of service, surgeries & interventions report, class & category wise manpower status, existing equipment’s & important information’s and necessary issues for the Faridpur Medical College Hospital. I Hope all the information’s of this bulletin will help for planning and bridging the gaps in health service and prioritize the targets. Particular thanks and appreciation are extended to all Deputies for planning offices, and Director-generals of Health and information offices of the ministries, organizations and the MIS, as well as all their colleagues who helped us in this great job. Neonatal Mortality Rate (NMR) is 117.80 per 1,000 live births. Maternal Mortality Ratio (MMR) is 1,715.59 per 100,000 live births. 250 bedded Medical College Hospital Faridpur is now 500 bedded Medical College Hospital. Necessary Infra structure is near about to have completed. A New ICU Unit will be started in this year soon. The infra structure of the proposed 18 bedded ICU Unit has been completed. Necessary skilled manpower and equipments are to be needed to run this ICU properly. Iam very happy to published this health bulletin 2014. The doucments of this bulletin will help us to compare our different performance progress with coming Year. Faridpur Medical College Hospital to provide us the useful advice for farther improvement.